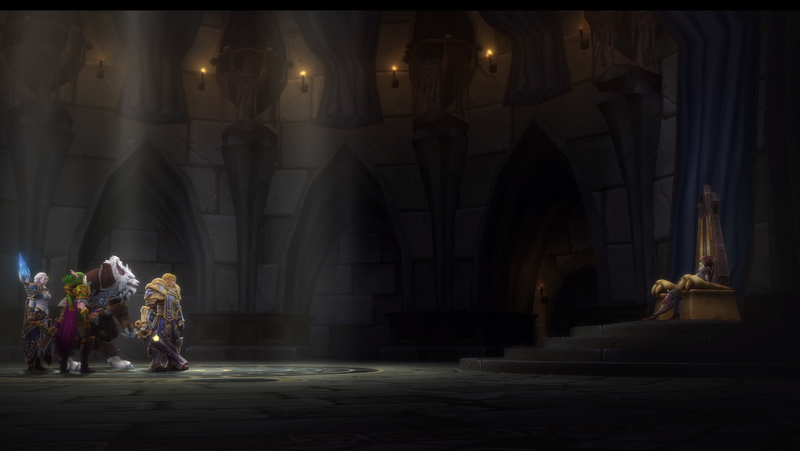 The finale for the Pre-launch events is here and for me the Battle for Lordaeron has been an amazing conclusion. 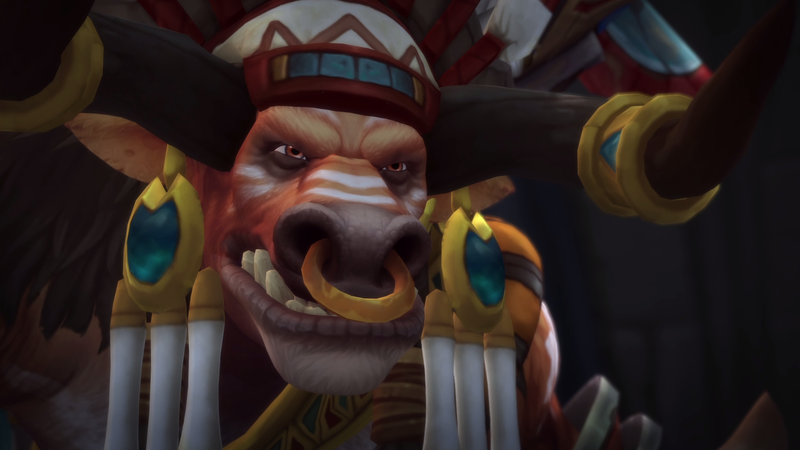 So, without further ado, here is what happened and some final thoughts on story in World of Warcraft as we now look forward to Battle for Azeroth. King Anduin Wrynn summons all who would fight for the Alliance to join the battle as the final push to deal with the threat of Sylvanas Windrunner and her Horde is set underway. Arriving at the docks we are met with a contingent of Alliance soldiers and a troop of Night elves waiting with Mathias Shaw and Captain Angelica who make final arrangements for our conveyance to the battle field. We arrive on the beach at the critical hour of the battle, Brill has already fallen to the Alliance advances and the way to the front from the beaches lays clear. It is dawn and Genn Greymane stands and delivers a final speech before the charge is initiated. As the battle begins we rush forth into the chaos. 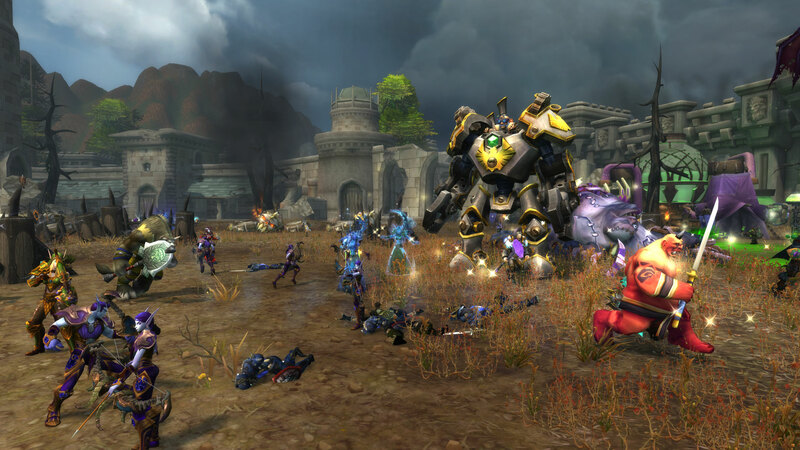 The battle rages on for some time with Horde and Alliance forces fighting and dying for their cause. As the Alliance edges ever closer to their goal Sylvanas unleashes a surprise new weapon, a massive battle tank fuelled by Azerite the life blood of the planet. We converge on the machine assaulting it and it’s defenders until finally Anduin Wrynn leaps onto the weapon and delivers a final blow. With the war machine destroyed and the fall of Lordaeron imminent Sylvanas makes a final move for defence. She orders her forces to spread plague across the battle field. Immediately catapults rain barrels of deadly toxin down upon their foes as the Undead emerge from the gate spreading blight from the canisters on their backs. In the confusion many Horde don gas masks they are offered by the plague spreaders with only some of them also grasping extra spreaders to help the Undead with their foul deed. As the plague spread further across the field killing Horde and Alliance alike Sylvanas Windrunner uses her power and raises the dead on the battle field. As the plague spreads mindless corpses rise to join the battle pushing the Alliance back to Brill. 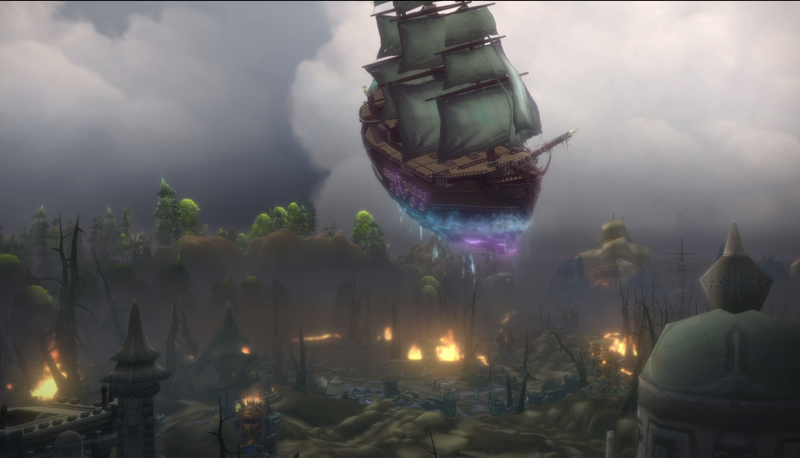 Hope seems lost as the horror of what is happening befalls both sides till a massive Kul‘tiran galleon carried on arcane magic breaches the fog of war behind the Alliance. After a moment of confusion Anduin realises it is Jaina Proudmoore. 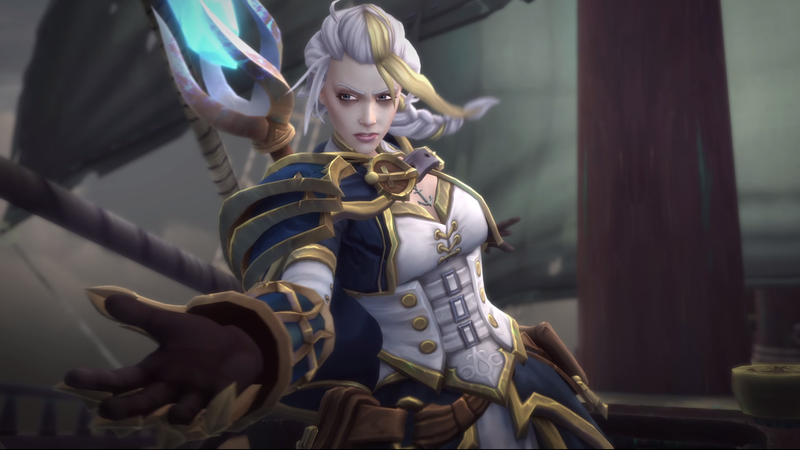 As Jaina moves to the bow of the Kul’Tiran ship she raises her arms casting a spell. A giant ring of frost forms on the ground below and with a massive gust of freezing air she clears the battle field of blight. 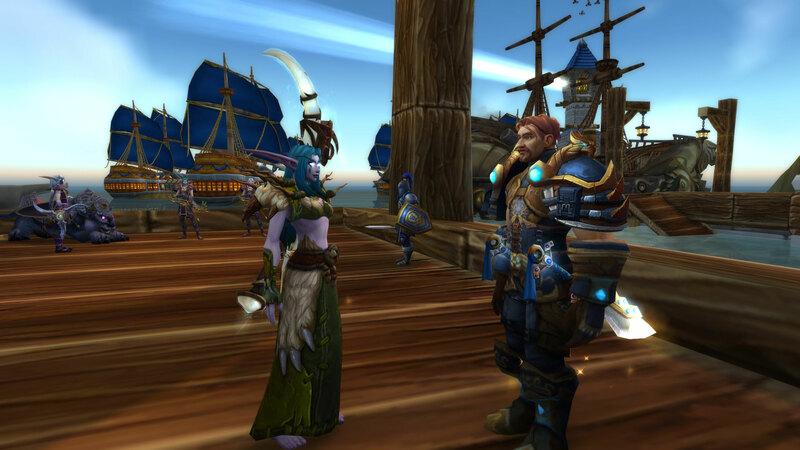 She then brings the ship about and broadsides the walls of Lordaeron opening a path through which King Wrynn leads a charge of the remaining Alliance forces. Jaina Proudmoore joins us as we press deeper into Lordaeron city where we encounter the last defences of the Horde army. As we are about to engage Alleria Windrunner and the Void elves appear through void gates bringing with them High Tinker Gelbin Mekkatorque and a full unit of gnomes and gnomish weaponry. We quickly defeat the Horde defence but not before enough blight is dropped to slow our progress. To pass this obstacle few select forces are given use of the remaining flying machines to cross the blocked path to the inner courtyard. At the inner gates we are confronted by High Overlord Saurfang. A mighty battle ensues yet despite his great strength Saufang is overcome and captured by the Alliance forces. Behind the gates Bane Bloodhoof presses the issue of abandoning Saurfang to the Alliance but ultimately and grudgingly he accepts his place as Nathanos Blightcaller is told to set the trap. Sylvanas then takes to the throne awaiting her expected guests. With Saurfang defeated King Anduin Wrynn bursts into the throne room with Jaina, Genn and Alleria behind him. He confronts the unarmed Banshee Queen demanding her surrender. Sylvanas smirks and jibes the party as she buys time for the trap to be armed. When the fateful click is heard she changes to her banshee form and screams flying up and bursting through the throne rooms dome. As the trap is sprung and blight billows out from every crevice a massive block falls and blocks Anduins escape! Had it not been for Jaina being among them the Alliance would have lost many of their leaders. 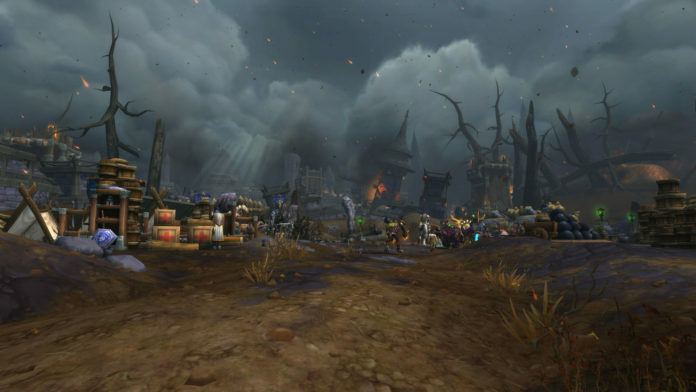 Instead they all were teleported to the waiting Kul‘tiran vessel were they all witnessed Sylvanas escaping on a Horde dirigible and Lordaeron flooded over with plague completely lost to everyone now. Up to now the way the weeks have ended for the story has felt very abrupt and lacking. There has been no smooth transitions as one would expect in a good story as evidenced by the abrupt ending of week one. Nor has there been moment to moment cohesion as one would expect in a video game like when we arrive back in Stormwind to a fully healed Malfurion where both he and Tyrande stand seemingly mindless to the events that just transpired at the end of the War of Thorns. I think, in some ways, this points to how Blizzard Entertainment is still learning and improving as they go. I am sure writing and delivering a great story can be difficult in any singular medium but telling a long sweeping saga in a video game must be even more so, especially when telling it through mixed media. Still with stronger narratives and more impressive deliveries across all media types players have been getting more invested in the lore. 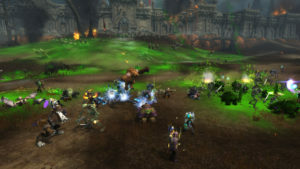 That includes both its direction and delivery which has come a long way for the World of Warcraft. Much of what we see upon release has been in the works for well over two years. All of that content goes through many iterations and revisions across hundreds of people before it is released. From my own writings I know that sometimes where I start is completely different than where I began. That process of iteration and revision can sometimes change a story completely and retaining that link to my original thoughts can be tough. I could not imagine how hard that must be across an entire company of people and artists. I completely agree with many people that Blizzard Entertainment needs to do better in how they balance things moving forward in both what they need to tell in game and what is ok to leave to their external media. With World of Warcraft they really need more work on how they release the story in game so that it flows better week on week and retains immersive details for the players that view it every day. Still when looking at where we have been through all expansions I can honestly see Blizzard is, in many ways, getting better at the art of storytelling. To me, it has been amazing to see how each episode/expansion evokes stronger emotions, invests players deeper in the lore and makes us more critical of its delivery. At the conclusion of this entire pre-launch event, even with its foibles, I am still quite hyped for Battle for Azeroth and I’m really looking forward to sharing my joys and frustrations as we follow where this new story leads us in World of Warcraft! Jaina’s entrance is the best I ever saw in this game. It maybe simple but it was of epic proportions. And her calm determination is quite awe-inspiring. Thank you! I to loved Jaina’s entrance as well. She is easily my favorite character going into this expansion and I’m so hyped to experience her story as we head to Kul’tiras. Thank you for the very great telling of the events 🙂 Was a pleasure to read. I’m so glad you returned to blogging. (Did I say that already…?) I think the Alliance lost so far. Or we all did…But the story is not over yet. You know where I stand 🙂 Good luck ahead! It is the ONE thing I hold on to. It is all I hold on to – a hope to have an Elven land restored in some way.